The Street Maintenance program focuses on preserving the structural integrity of improved streets, drivability of unimproved streets and to minimize traffic hazards to pedestrians, bicyclists and motorists. Springfield’s street system includes improved streets and unimproved roads, sidewalks, street curbs, gutters and barricades. 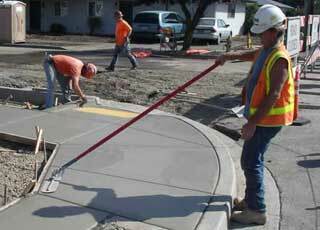 Streets that are built to City standards including an engineered base, asphalt or concrete surface, curbs, and gutters are classed improved streets. Improved streets represent a considerable investment to the community. Improved streets receive preventative activities including crack sealing and slurry sealing. 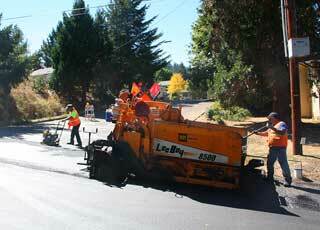 Repairing improved streets can be base repairs, overlays, skin patching and/or potholes filled. 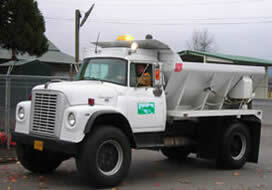 Improved streets are swept and may receive some level of ice and snow control during snow events. Sidewalks, curbs and gutters are maintained on a priority basis. Unimproved streets can be an asphalt or oil mat, or gravel surface without an engineered base. They usually do not have sidewalks or curbs, and drainage is usually a road side ditch. Activities on unimproved streets include grading and rocking, filling pot holes and some skin patching. Activities on all streets include removal of road hazards and debris from public right-of-ways (including dead animals), barricade repairs, utilities/encroachment permit inspections and compliance. The Street Sweeping service is provided in order to meet air quality control standards and water quality standards for stormwater into the area waterways. Sweeping of arterials and collectors are provided on a sliding scale routine based upon traffic flows, usually on a weekly basis. 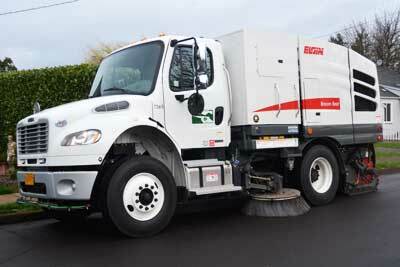 Residential streets are swept 5-7 times a year. Ice & Snow removal services provide a safer environment during the winter months for the City. The application of magnesium chloride is used to prevent icing of the street surfaces in specified areas, usually on slope. 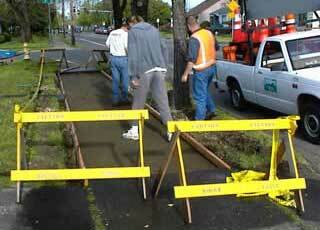 Sidewalk Repair service is provided according to Municipal Code 3.304. The City has a responsibility to ensure that sidewalks are maintained for the city as a whole, including upgrading corners to provide wheelchair ramps, maintaining new public alley approaches, and repairing sidewalks adjacent to City-owned property. The effort to ensure sidewalks are maintained in safe condition is shared by property owners. Property owners are responsible for the construction and maintenance of sidewalk and driveway approaches next to their property’s frontage. Chapters 3.306 and3.308 of the City’s Municipal Code establishes the property owner’s responsibility for repair and their liability in case of an accident. Any time sidewalk’s condition is noted as presenting a safety hazard to pedestrians, the City notifies the property owner in writing that repairs are required and then follows up to ensure the repairs are completed. The repairs are to be done within 10 days of the notice date. If the property owner fails to repair such property within ten days, then the City will repair the sidewalk and bill the property owner/s. The City’s FIRST Response truck, Leaf Pick-Up and Spring Clean-Up are managed in this program, along with providing capital improvement assistance for design, inspection and construction of street projects.